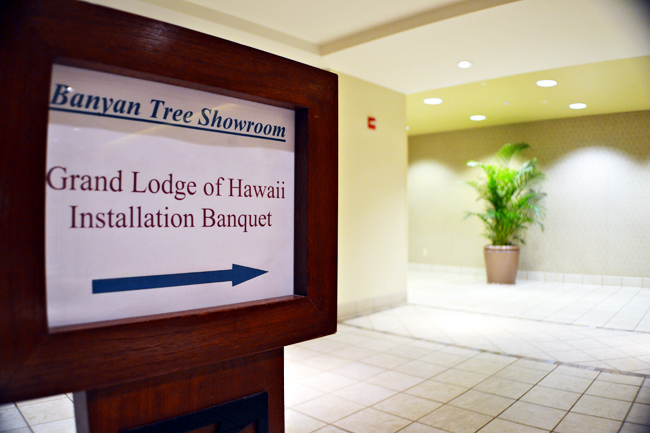 This year’s Grand Lodge of Hawaii Installation Banquet was held at the Hale Koa Hotel, Banyan Tree Showroom. 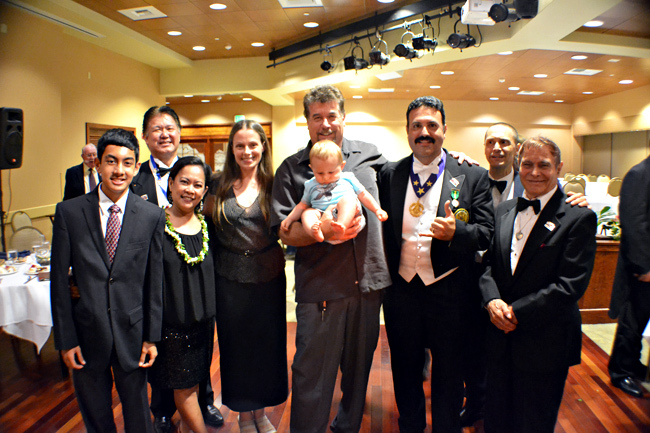 It was a beautiful evening as brethren from throughout the Hawaii Masonic Jurisdiction joined to celebrate the Installation of our new Grand Master, Most Worshipful Frank M. Condello II. 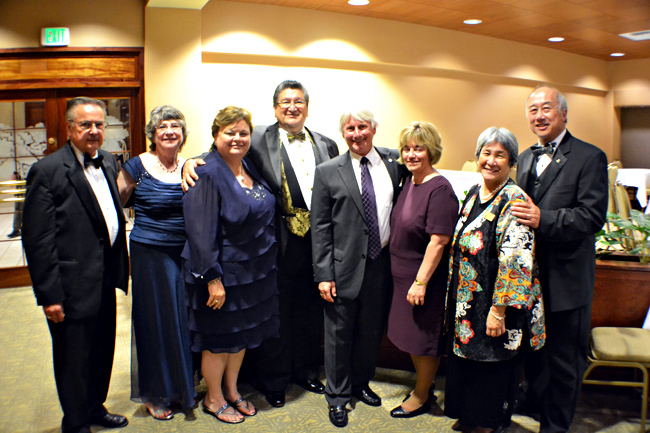 Below are a few pictures highlighting the evening. Down the hall and to the right. 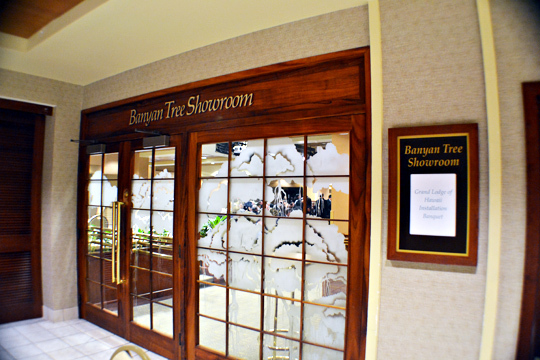 The entrance of the Banyan Tree Showroom. 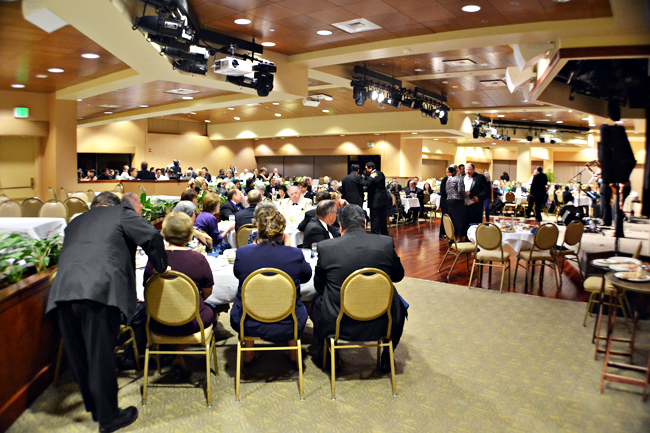 Brethren and guests socializing before the banquet begins. 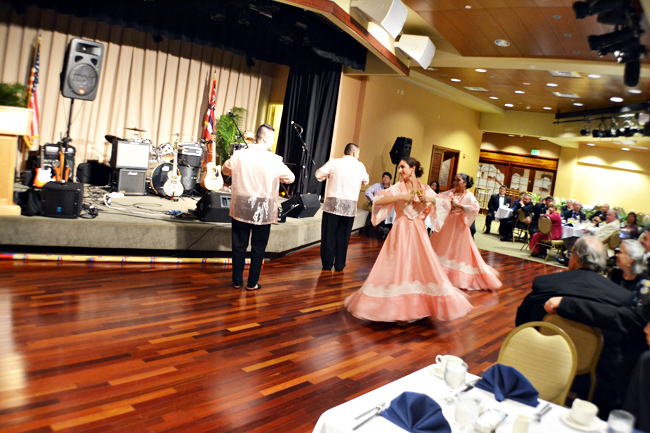 Dancers performing in traditional Filipino dress. 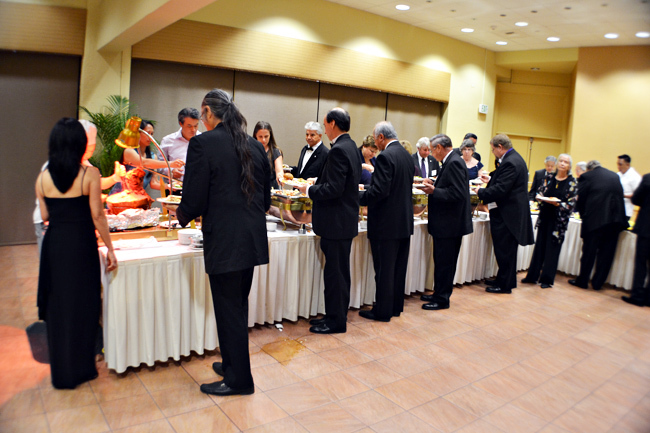 The brethren and their guests lineup for a delicious buffet. 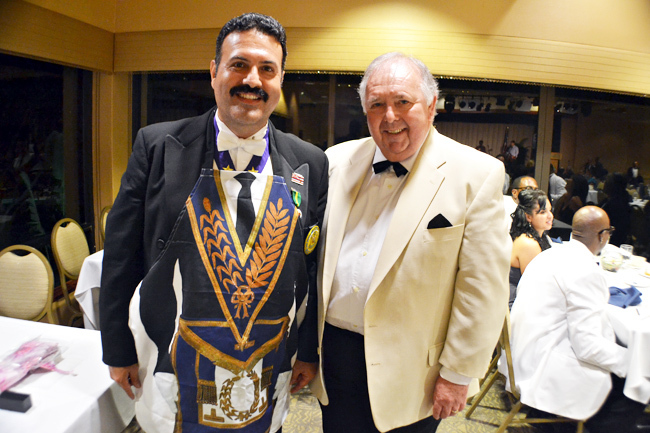 MW Frank M. Condello II wearing a present from Worshipful Bro. Alan Cudworth (Past Provincial Junior Grand Warden of the UGLE). MW Frank Condello with WB Donovan Young PM, WB George Theofanis PM, family and friends.